Listen to BØRNS' Expansive New Single, "Faded Heart"
BØRNS, aka Garrett Borns, has shared his first new song since his 2015 indie-pop debut, Dopamine. The new track, “Faded Heart,” embraces Borns’ expansive pop hooks and signature falsetto that garnered him recognition in the first place. His sophomore album is expected to release in January. Tony Maserati lent his production tricks to the hook-heavy song. Maserati has also worked with artists including Beyoncé and James Blake. 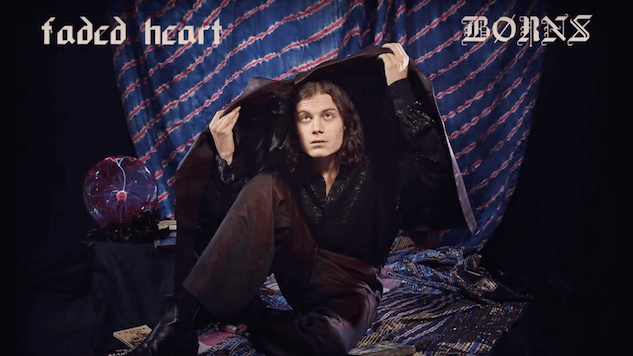 Listen to “Faded Heart” and watch a classic performance from BØRNS via the Paste Cloud below.